No. 19, Jalan TP 7/7, Sime UEP Industrial Park, Section 26, 40400 Shah Alam, Selangor, Malaysia. 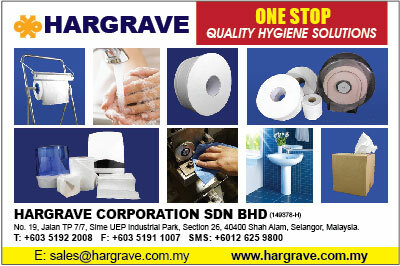 Founded in 1977 as a sole-proprietorship and subsequently incorporated in 1987 as Hargrave Corporation Sdn. Bhd., we are a distributor of pumps, industrial equipment, wiping materials, washroom hygiene products and chemical cleaning solutions. We also provide the full range of installation, maintenance and related services for our products and solutions. 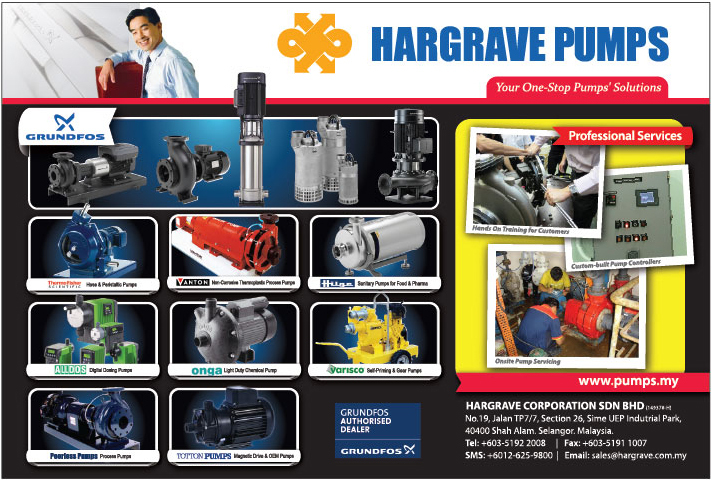 Having pioneered the introduction of the revolutionary canned motor pump to the Malaysian market in the early 80's, we have since expanded our range of pumps and industrial equipment to meet the growing needs of our clientele. Over the years, Hargrave has diversified into wiping materials, washroom hygiene products and maintenance cleaning chemicals. An exceptional product introduced by us to the Malaysian market is the Hexa Industrial Wipers, an economical and environmental friendly substitute of the cotton rag. To cater to our inventory storage needs, we have acquired warehousing facilities with a combined floor space of 15,000 sq. ft. in Shah Alam and Port Klang. We own and operate a fleet of trucks, vans and cars to provide prompt delivery and service to our customers within peninsula Malaysia and have arrangements with logistic agents for international destinations.